- transactions viewer with filters. 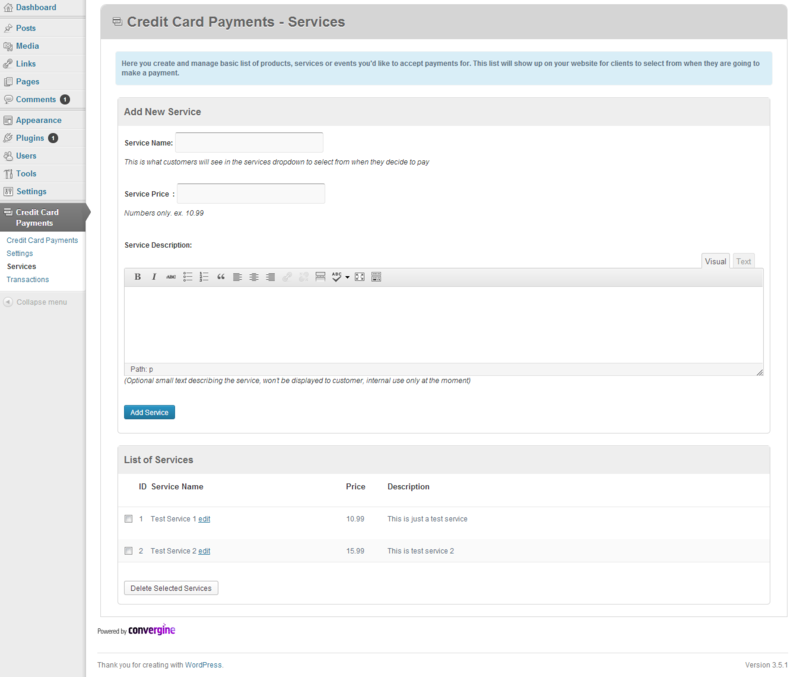 - shortcode [ccpt_paybutton] – use it to add “pay” button to any post/page on your blog! 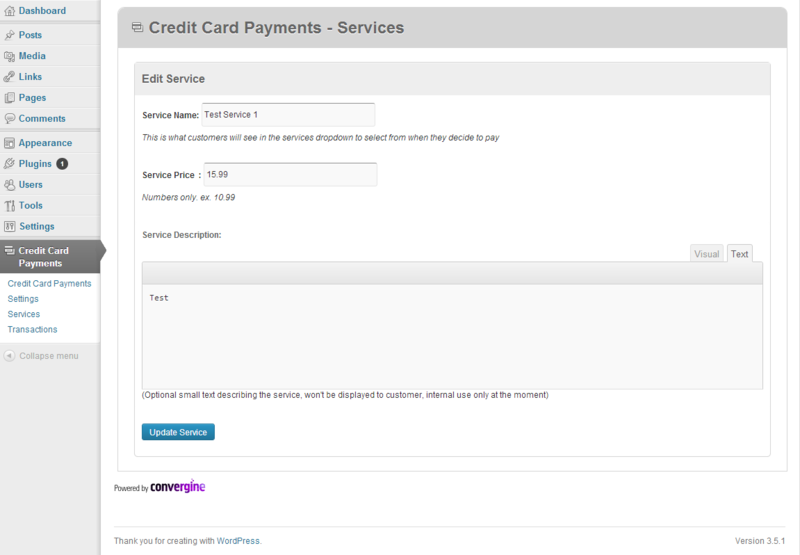 - shortcode [ccpt_paybutton id=”X”] (where X – service ID) – use it to add “pay” button for particular service you’ve setup in services section, can be added to any post/page. - easy to attach your database “order update statement” or “insert new order statement” upon successful payment in source code. 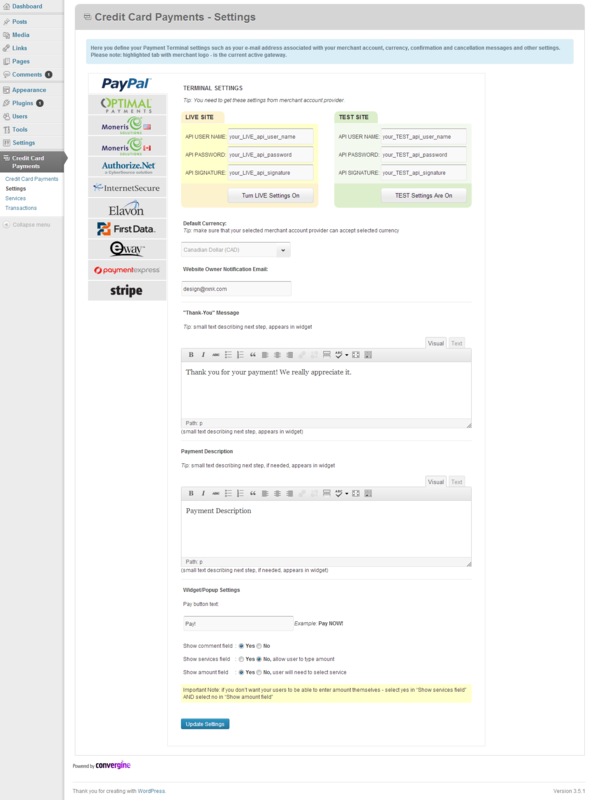 - fixed optimal payments, moneris ca, moneris us, authorize.net terminals when using shortcode for particular service. - paypal error 10571 is now treated as success in paypal payment terminal.